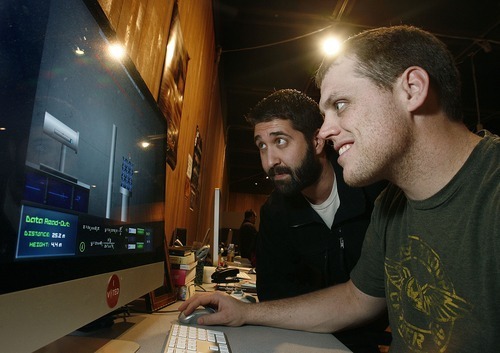 Universities enlisting game industry legends to help teach future generations. Top universities are teaming up with leading entertainment software companies to offer computer and video game design, programming, and creative leadership training to the next generation of industry innovators through specialized programs. The University of Texas at Austin (UT) recently announced a new partnership with local game design legend Warren Spector and Blizzard Entertainment COO Paul Sams to launch the Denius-Sams Gaming Academy. The Academy will offer a unique game development program – the first to be led and taught by industry executives – that will provide aspiring video game designers with hands-on experience. Its selective 12-month program will blend game design courses with leadership and management skills training. Students will work in teams to create a small-scale game from start to finish, experiencing every aspect of the game development process. "The University of Texas at Austin has a tremendous track record of building nationally-recognized programs that generate the leaders and critical thinkers the gaming industry needs," Sams said. "The program will focus on building the skills required for students to lead teams and develop games from concept to completion, while growing talent for the gaming industry." In addition, the University of Central Florida (UCF) partnered with Electronic Arts (EA) Sports to open the EA Sports Innovation Lab at the UCF Center for Emerging Media. The 3,000-square-foot lab, which serves as an extension of EA Sports' Maitland headquarters, features state-of-the-art technology – including 14 computer stations, large flat-screen televisions, and advanced computer programming software – to help students apply classroom concepts to creative projects. Students collaborate with full-time EA Sports employees before, during, and after class, and take advantage of highly-competitive internship opportunities to gain real-world industry experience. Program graduates can also leverage the Lab's network of professionals as they pursue careers in the industry. The University of Southern California (USC) has been working with leading game developers for years to offer students the opportunity to learn from accomplished game makers the “dos” and “don’ts” of game development. This is a trend we’re seeing more of at colleges across the country, including North Carolina State University, where Epic Games has had developers spend time with aspiring game developers over the years. Team up brings Underworld franchise to masses!